/ Why Do Dogs Like Squeaky Toys? We Have 4 Theories! 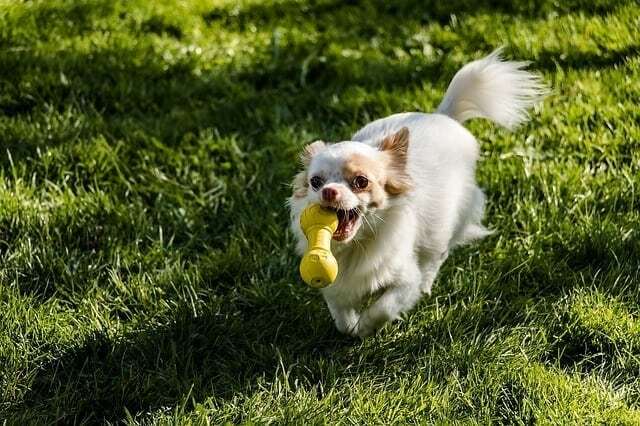 Is your dog crazy for squeaky toys? Unsurprisingly, most dogs are, and it’s actually hard to find a pup that doesn’t like them. Most dogs love hearing the squeak and will go mad to find where the sound is coming from. It’s an endless source of fun and simulation. Why do dogs like these? Several theories explain this fascination, and while every pup is different, most are driven by the same things. Some say that their instinctual drive motivates them while others think it’s more than that. 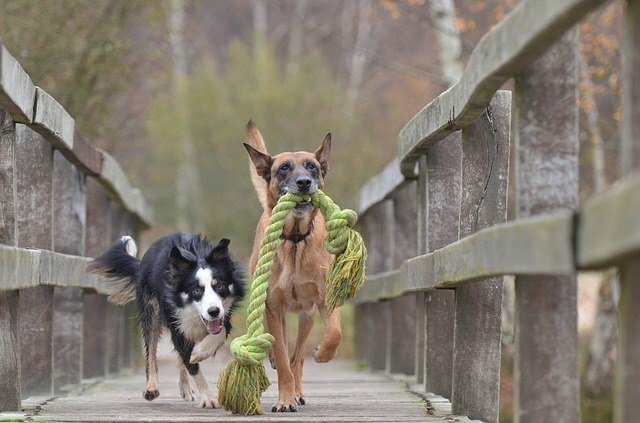 Different breeds show different interest, but it’s tough to tell if and why your dog loves or hates these toys. Precisely, some dogs may go wild over a squeaker while others show no interest at all. Continue reading as we break down each of these theories in an attempt to figure out why do dogs like squeaky toys so much. Though there are pups that simply don’t care about them, most actually adore squeaky toys. Why? Many people tried to explain this in different ways, so now we have several theories on why this is happening. It might be their instinctual drive or the high-pitched and squeaky sound. Some pups bark and run around when they hear the noise, while others sit still and cry. The difference in reactions is mostly due to the overall difference in each dog. Dogs come from wolves, and they have quite a similar DNA. For this reason, they also share some behavioral qualities. The squeaky sound triggers their hunting instinct which is what many believe is the reason for their obsession. It’s also why dogs don’t really care about the size of the toy and will go equally as crazy about a small one as well as a big one. As the pup bites it, he/she associates the squeaking sound to the sound a prey would make. When the noise stops, they’ve officially killed the prey. At least that’s how dogs probably see the situation, and when you think about their wild predecessors, the theory does make some sense. The sound these make is comparable to the sound of prey. This is what triggers your pup and drives it to attack the toy. The moment this noise stops, the dog thinks the prey is dead. 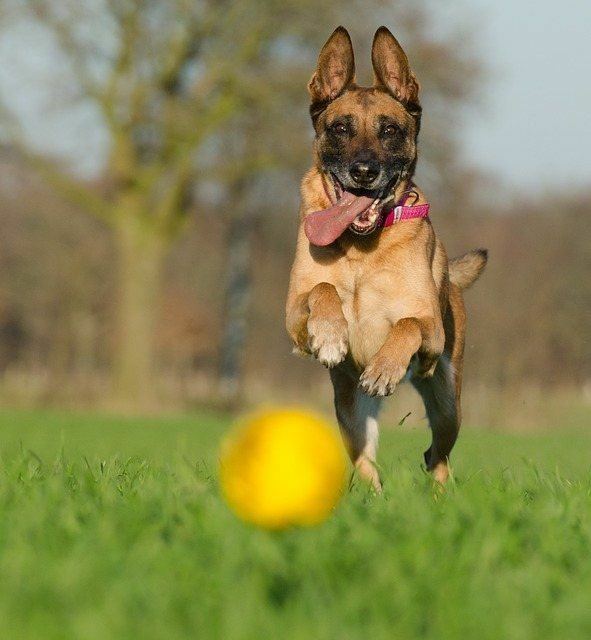 This type of playing stimulates dogs to chase and capture smaller animals as prey. All dogs have this in them, but some breeds have it more than others. For example, terriers are quite persistent and will hunt down anything that slightly resembles like prey. Other breeds may not be as interested. The squeaking of these wakes their instincts in a second. It comes from the fact that hounds developed from wolfs and they all used to live in the wild before they became our beloved pets. It’s well known that every breed has its own characteristics, temper and behavior patterns. 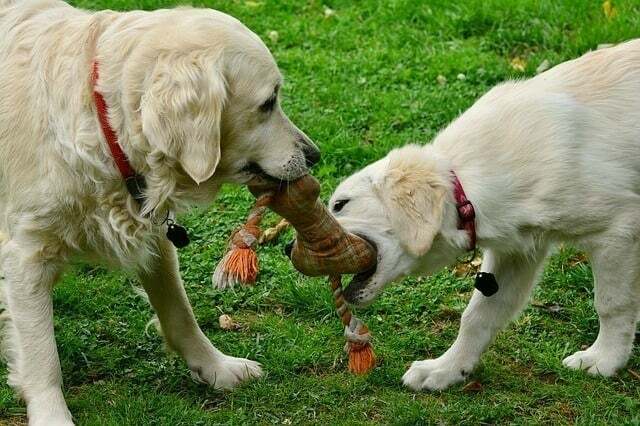 For this reason, some love squeaky toys while others either hate it or simply don’t care. It’s proven that these toys are most interesting to pups that come from ancestors that hunted vermin. The first that come to mind are terriers that used to hunt and kill small prey like mice. This is why, if you have a terrier, your canine goes crazy when there’s a mouse looking squeaking toy. On the other hand, retrievers don’t care about mice but will attack a plush duck at any time. It’s important to know that most hounds have a prey drive, but some just don’t get as hyper over it. Another reasonably simple theory on why do dogs like squeaky toys is for the reward they get from the sound. For them, the constant feedback as their bite creates a reaction is always entertaining. When you compare these to simple, silent toys, it’s easy to understand the clear difference. Squeaky ones respond to your pup’s bite, while silent ones don’t, so it’s easy to tell which would end up being the favorite. Hounds like having fun and playing around but make sure to watch over the pup when squeaky toys are involved. Though these are fun, they can be dangerous at times. Still, it’s no reason to deny your pet the experience and great entertainment of squeakers. Just remember to pay attention to its behavior. 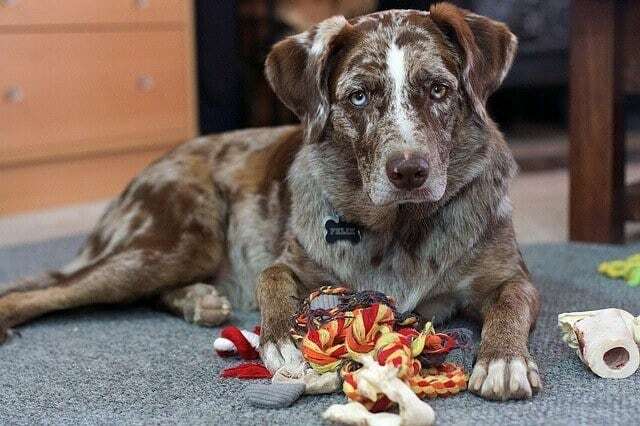 Choosing the right toy is important to build a connection with your pet. You’ll get to learn about its behavior and whether these noises annoy them. Make sure to always watch over the pup when you get a new toy. Some dogs will want to destroy the squeaker which can later cause them to want to destroy anything that is slightly loud. Choose only the one that leads to positive behavior and remember, that all dogs are different. Get the one that encourages calmness and playfulness as opposed to aggression and fear. 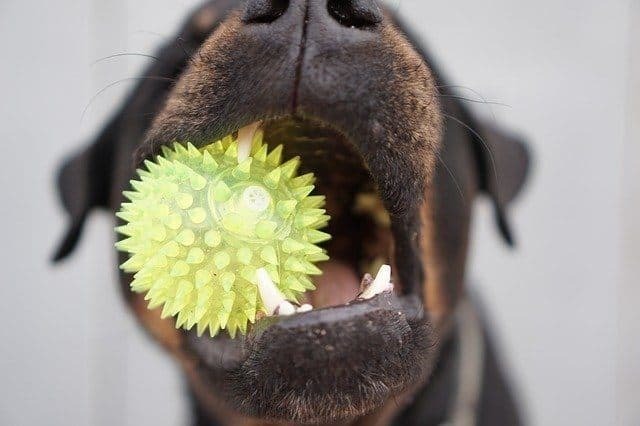 You might want to read this post if your dog is an aggressive chewer. All toys can become a problem if you don’t watch over the canine. 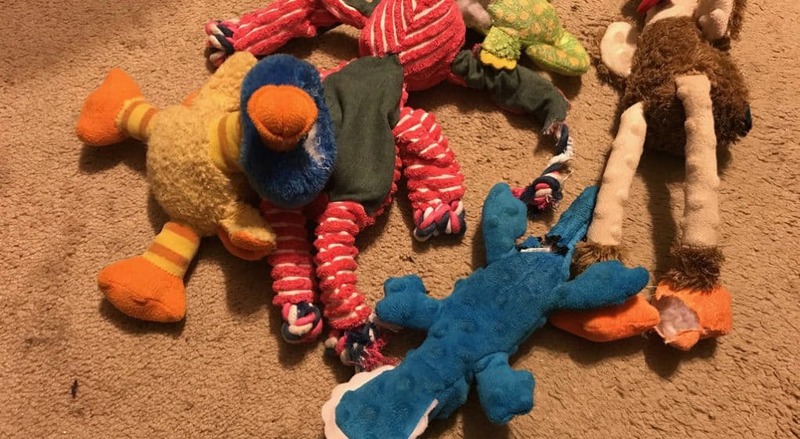 Things like balls, ropes, ribbons, stuffed animals and even squeakers can become an issue if torn apart. The animal can actually tear apart the squeaker and swallow some rather large parts. Small dogs can easily choke on those parts, which is why they shouldn’t play with these toys when you’re not around. Make sure to take the toy from your pup if you won’t be around to notice something went wrong. 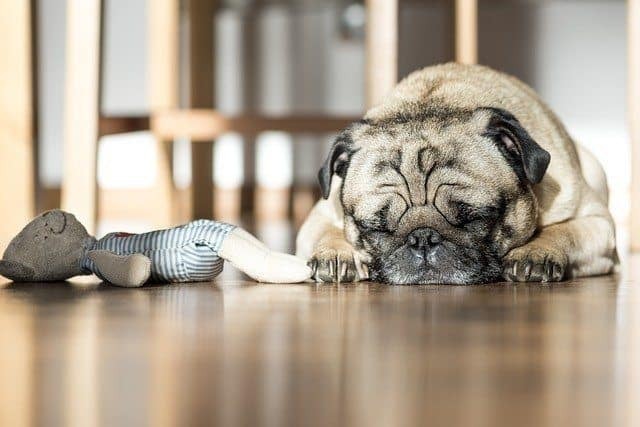 These are quite common symptoms and can mean anything, but if you notice the squeaker is gone, you should definitely mention that to the vet. These are fantastic as they provide endless fun and can teach your dog several things. Plus, they come in so many different shapes, sizes, and colors that you can get more than just one. However, make sure to choose carefully after you consider the size and breed of your pet. 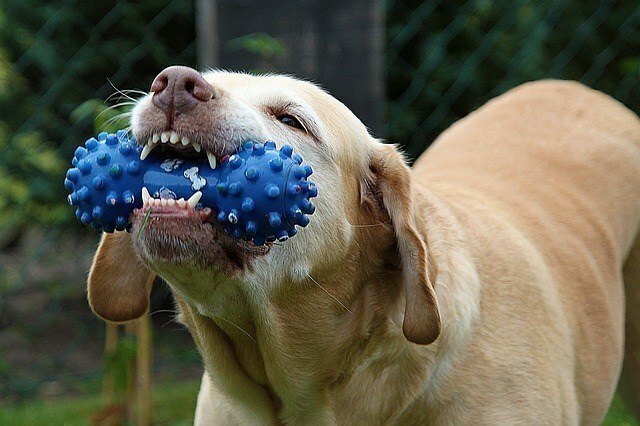 Get the one that’s the hardest for your canine to swallow any of its parts. Also, keep a close eye to its behavior since you don’t want to promote any aggression or fear. These are fun, enjoyable, and completely safe when used accordingly and under supervision. They can even be used in training as they get hounds excited and playful. There are many benefits to these toys, but don’t forget to inspect them regularly after each playing section to make sure they’re safe and undamaged. We hoped you enjoyed reading on why do dogs like squeaky toys.